Punjab Examination Commission is an autonomous body set up by the Government of the Punjab to assess and examine students’ learning achievements particularly of grade 5 and 8. PEC started functioning in 2005 and in 2006 conducted 5th grade population examination for the first time in the Province. Now PEC is a statutory body working under Punjab Examination Commission Act XI of 2010. 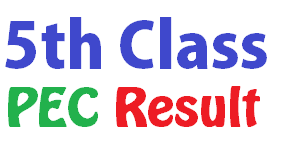 Examination for grade 5 & 8 will be conducted in the month of February 2015. Examinations will be conducted on the basis of Student Learning Outcomes (SLOs), as reflected in the National Curriculum. Six versions of the questions papers of each subject, covering whole of curriculum will be prepared for examinations. Heads of Cluster Training & Support Centres will be responsible for registration of students, issuance of Roll No. slips, organization and conduct of examination, paper marking and compilation of results etc. under the overall supervision of EDO (Education). Online registration of the students will be ensured at respective CTSC already established by the Directorate of Staff Development, Punjab. Free of cost registration forms will be available at all CTSCs. 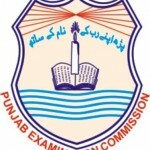 Punjab Examination Commission will announce registration dates for conduction of 5th and 8th grade exams 2015 the PEC website, print media, SMS services and educational administration in the 2nd. week of November 2014. Compulsory registration for the students of all Public Sector Schools. Optional registration for the students of all Private sector Schools who can get themselves registered on a cluster centre within a radius of 16 Kms. Private students may register at any Cluster Training & Support Centre (CTSC). 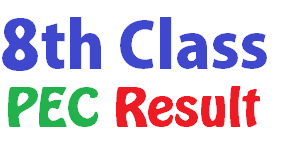 Separate Forms for grade 5 and 8 are available. Form “A” contains the school’s information. Forms (“A” & “B”) for the candidates of public sector schools must be downloaded separately, both for male and female. Forms (“A” & “B”) for the candidates of private sector schools must be downloaded separately, both for male and female. A separate form is also available for the candidates who want to appear independently. Note: Form “A” contains the school’s information and Form “B” contains student’s information.